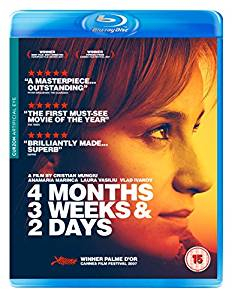 Highly acclaimed drama from Romanian director, Cristian Mungiu. 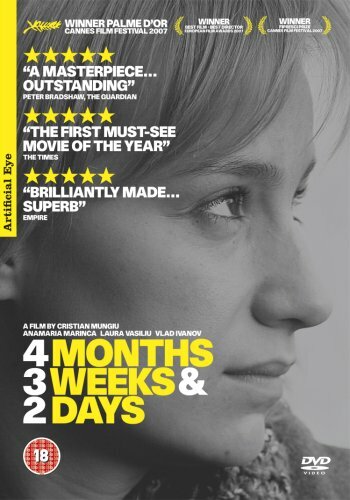 Highly acclaimed drama from Romanian director, Cristian Mungiu. The story takes place over the course of one day in 1987. When college student Gabita (Laura Vasiliu) falls pregnant, her kind-hearted friend, Otilia (Anamaria Marinca), helps her to get an abortion from the shady Mr. Bebe (Vlad Ivanov). In Ceaucescu's totalitarian Romania, at this time, abortion and contraception are both illegal. The film follows Otilia's attempts to help her friend, despite the terrible obstacles in her path and the fact that Gabita hasn't been totally honest with her. The story takes place over the course of one day in 1987. When college student Gabita (Laura Vasiliu) falls pregnant, her kind-hearted friend, Otilia (Anamaria Marinca), helps her to get an abortion from the shady Mr. Bebe (Vlad Ivanov). In Ceaucescu's totalitarian Romania, at this time, abortion and contraception are both illegal. The film follows Otilia's attempts to help her friend, despite the terrible obstacles in her path and the fact that Gabita hasn't been totally honest with her.